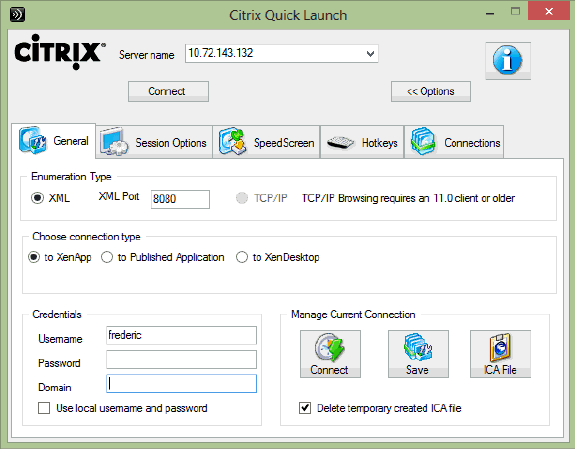 Citrix ICA File Creator (Citrix Quick Launch) is used to create ICA files used to connect to published Citrix applications or a server desktop. On Citrix Presentation Server 4.5 32- and 64-bit, the option to create ICA files from the management consoles was unavailable. Using the Citrix ICA File Creator, you can easily create ICA files to connect to published applications or a server desktop. If you need more information please contact the developers of Citrix Quick Launch (Citrix ICA File Creator) (Citrix Systems, Inc.), or check out their product website.